I really like working with copper wire! 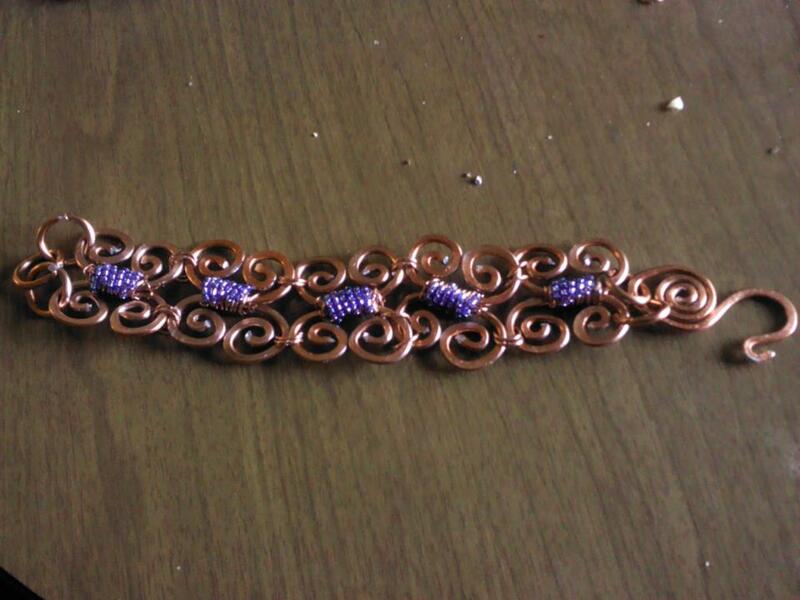 This is a spiraled bracelet constructed in five different pieces. These pieces are wrapped in bronze wire, and overlain by sparkly blue beads. The clasps are custom made to fit into a large jump ring. This piece is hammered for added durability. This took around 5 hours to make.